For most women, breastfeeding comes naturally and easily. For others, it can be a struggle to establish a latch and maintain adequate milk flow. For men, breastfeeding can be an enigma. 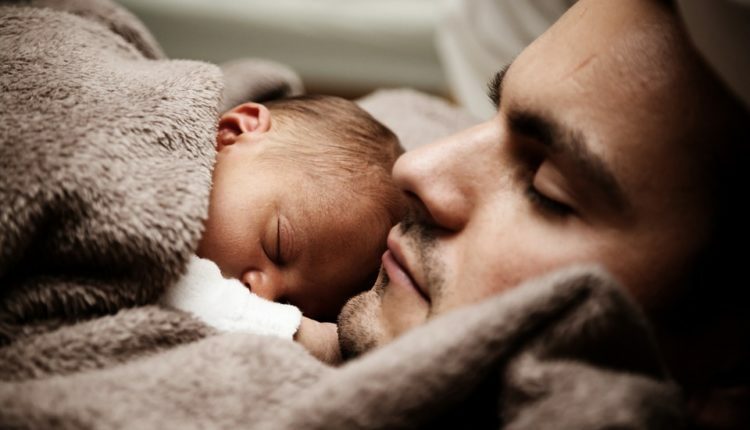 While their partners are preparing to deliver a tiny human into the world, men can’t help but scratch their heads at some of the more mysterious child-rearing concepts – especially breastfeeding. So if you are a man, here are some great questions and answers that may give you some insight into what to expect. If you are a woman, send this article your partner’s way! Maybe he’s not sure how to ask these questions and there’s no harm in giving him the answers. Question: Will my wife be baring all if she breastfeeds in public? If she feels comfortable enough to. Otherwise, she will have the option of using a cover or seeking a nursing lounge to feed your child. Is it a big deal if she does? It shouldn’t be. It’s understandable that the idea of having strangers see your partner’s breast is unsettling but one key component of successful breastfeeding is normalizing the act of feeding your child. Leave the decision to her and support whatever she chooses to do. Shaming her for baring a breast in public while feeding your little one only strengthens the stigma that women have no right to do so. If strangers sexualize the act in their mind, then that is their issue. If anyone says anything to the mother of your child, you defend her. Question: Will my child be completely spoiled by so much attention? It’s actually been proven that providing your baby with oodles of attention in their early days, and fulfilling all their needs, actually encourages a stronger sense of independence. Is breastfeeding spoiling to a child? No. It is merely providing the nutrition and bonding they need during their infancy. Spoiling a child means handing over whatever they want when they don’t deserve it. A baby deserves to be nourished and cared for. So if you can separate the ideas of “spoiled” and “cared for” then you have no worries that your little one will be spoiled by the attention provided during breastfeeding. Question: Will I ever be able to feed the baby? Not right away, but it will happen. It’s important in the early days of lactation that mothers nurse their infants in order to establish milk supply and proper latch. Eventually, if your partner chooses to, she may pump breast milk that you can then bottle feed to your child. Should the mother of your child decide never to bottle feed, respect her decision to maintain breastfeeding. In the meantime, you can create a bond with your little one through other means. Changing diapers and giving baths can be intimate moments between father and child. You also have an opportunity to practice skin-to-skin contact with your baby. Even without the opportunity to feed them in their early days of life, you can establish a strong bond with them. And by the time they are ready to spoon feed, you just jump right in there! Question: Will we ever have time together again while she is breastfeeding? Life will never be like it was before baby arrived. However, it is completely and totally possible to find balance between being a parent and being a romantic partner. Just don’t expect it to happen right away, especially when your wife is busy breastfeeding whenever your child needs to eat. Once baby-life calms down, put in the effort to spend time with your partner. Plan date nights and find babysitters. Take the initiative to make these plans – this will take the burden off your baby’s mother. Question: Why not just give the baby a bottle? Actually, nourishing your child is best but, if the mother can breastfeed, breast milk is actually the most nutritious substance your baby could possible have. It seems that throwing some formula in a bottle would make life easier, but think of the long-term benefits for your little one. Breast milk has been proven to help develop stronger immune systems and promote brain growth – and it’s free! Question: When it comes to breastfeeding, what’s in it for me? Nothing, except a healthy child and a happy partner. Oh, and the feeling that you, as parents, are doing the best thing possible for your newborn.